Bryan K. Walkley has an extensive background in the courtroom, trying more than 50 cases during his career, including a National Products Liability Case against Ford Motor Company. Mr. Walkley obtained his undergraduate degree from the University of Phoenix in Albuquerque, New Mexico and his Juris Doctorate Degree from the University of Oklahoma School of Law, where he was a member of the Saul Lefkowitz National Moot Court Team. He also received the IATL Award from the International Academy of Trial Lawyers, a group of truly elite trial lawyers whose membership is limited to only 500 attorneys from around the world. As well as being a trial attorney, Mr. Walkley is a Civil and Family and Divorce trained Mediator. 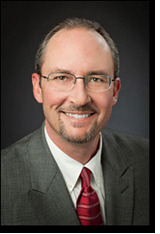 He is a member of the Oklahoma Bar Association and the Cleveland County Bar Association. His areas of practice include, Civil Litigation, Personal Injury, Construction Litigation, Real Estate Issues, Business and Commercial Issues and Collections. We serve the following localities: Canadian County including El Reno, Mustang, and Yukon; Cleveland County including Lexington, Moore, Noble, and Norman; Oklahoma County including Bethany, Choctaw, Del City, Edmond, Harrah, Jones, Midwest City, Newalla, Oklahoma City, and Spencer; Pottawatomie County including Shawnee and Tecumseh.